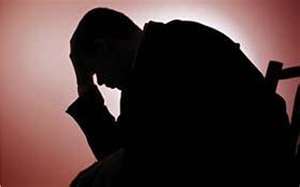 Cut in state mental health funds huge blow to many homeless and to housing efforts. . .
Late last week, we received word from Value Options, the state's private insurance provider for mental health services for the very poor, that cuts in benefits would be forthcoming tomorrow (December 1). The funding action taken responds to the very disappointing level of support from the state legislature in its last session. • The reduction of the case rate for indigent populations to $100 per month from $140 per month will leave many homeless individuals without case management services. • Homeless individuals with mental illnesses and addictions have few natural supports in place to help them negotiate services systems and ensure their basic needs are met. • The majority of the 2000 formerly homeless individuals with mental disorders and addictions who now live in supportive housing need the vital case management services now provided. • It is crucial that a clear case management plan for homeless individuals, those in supportive housing, individuals leaving the jail and those returning from the state hospital be crafted and communicated to the field quickly. • Note: The estimated cost of serving people with mental illness who are homeless is three time higher than for consumers who are in stable housing because of the increased incidence of crisis and subsequent rates of emergency room visits, hospitalizations and incarcerations among those who have no homes of their own. • Homeless Individuals, including parents in families who are homeless, should be considered a priority population and services should remain whole for these populations. Again, the poorest, weakest and most vulnerable among us take the hit in the public policy decisions of the State of Texas. We must find a way to do things differently and more effectively. Injured, broke, and trying to work. . .
Friday a man knocked on my front door. His jeans were torn, his clothing filthy, his facial expressions bespoke his fear and embarrassment. "I live down the street in the blue apartments," he began. He told me his name and then began telling me his story. He needed to earn a few dollars to purchase his anti-seizure medication. Just out of the hospital after a series of episodes, he needed a job. When I reached for my wallet, he stepped back. "No, don't do that," he scolded me. "I don't want a handout, I want a job. May I clean your windows or rake your lawn?" he suggested. As we negotiated the job options, he showed me the gunshot wound that marked the back of his head. He pushed back his drooping right eyelid to reveal the absence of a normal eye. He told me an incident of random gunfire had devastated him and his life. "The bullet came out my eye," he informed me. "The brain injury changed me." He then began to cry. He told me his meager disability benefits don't near cover his cost of living. 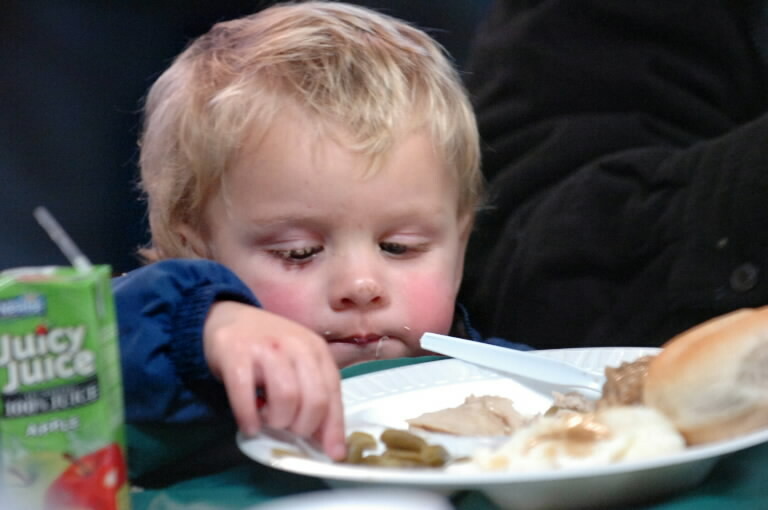 He wept when he told me that he used our food pantry at CitySquare so he could eat. He told me about his church. He told me about his career before being shot. He went to work on the leaves in my yard, and I paid him well so that he could get his meds. My neighbor should be doing better. Make no mistake about it: he's trying very hard. He's doing all he can do. I'll try to help him, to stay in touch. But the scale of problems like his are overwhelming. With so many in dire need, we need economies of scale provided by collective, national solutions. In Monday's newspaper I read about more cuts in our privatized mental health services for the poor and disabled in Texas. As the report noted, Texas has made it to the bottom of the national ranking for these services. Things aren't working. . .
Did you see the 60 Minutes program last night regarding the growth in the numbers of homeless families and children? Families living in their cars. Children "learning how to be homeless." Check it out here. Somehow current lectures about freedom, rugged individualism, tax cuts for the wealthiest, no matter what the human cost; and shrinking government ring right hollow when you have to face the stories of these families fallen on very hard times. 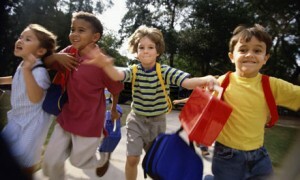 One out of 4 children in America is classified as living at or below the poverty line. Almost 50 million Americans find themselves scratching out a living at or below the poverty line. People want to work, but our economy is not working for growing numbers of us. If we don't begin to do better, I say. . .
"Wrap it up" at Barners and Noble and help CitySquare!!! Challenging thoughts for Thanksgiving. . .I posted this same material last year. . .things are now worse. . .
Thanksgiving has always been my favorite holiday. It calls forth the essential spiritual value of gratitude. I have precious memories of feasts shared with family and with good friends at congregational dinners. I eagerly anticipate this year's gathering. 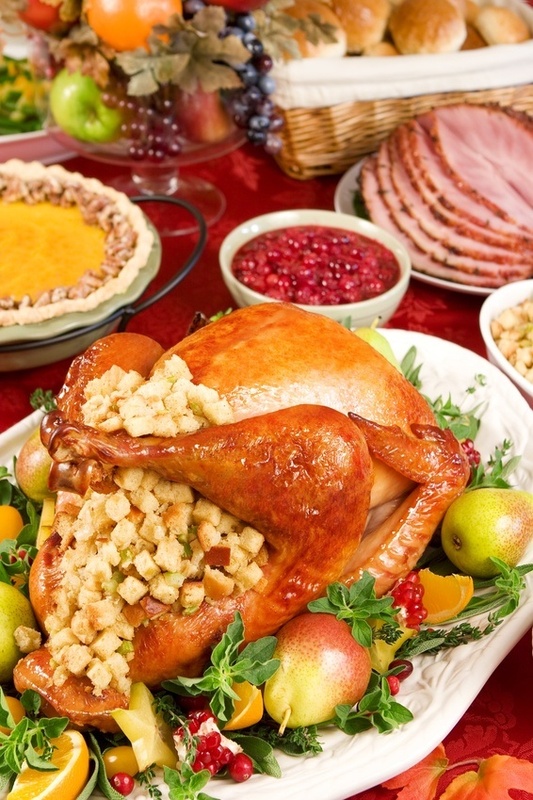 Imagine inviting family and friends over for Thanksgiving dinner and feeding some of them a lavish feast and some of them scraps and leftovers. While some are served an overabundance of delicious food, others receive tiny portions of unappetizing leavings. Horrible thought! Two apparently unrelated headlines caught my eye a few weeks ago as I surfed my usual news sites. I can't get them out of my mind. The first is a truly major development: The percentage of people living in poverty in the United States is the highest in half a century. One out of seven Americans lives in poverty. The second headline was a mere tidbit in the business news. It said something to the effect that companies that make things no one really needs have done very well in this recession. Though apparently unrelated, the two items are, of course, intimately connected. The poor are getting poorer and their numbers are increasing while the rich are doing very well. They continue to buy high tech gadgets and luxury items. These news items should have been a major religious story. At one level, the growing gap between rich and poor is an economic and political issue. But it is also a moral and, ultimately, a religious issue. There is a temptation to see economic relationships as the result of uncontrollable forces. As a matter of fact, allowing this widening gap between rich and poor is a choice -- a moral choice. And it is a moral choice with enormous spiritual consequences. All of the great religious traditions teach us that we are connected to one another. Every human being is my brother or sister. Every faith teaches compassion, that those who love God express that by loving others. Every faith also teaches us that we become fully human in community. Economic inequality pollutes human relationships the way smog pollutes our lungs. Just look at life where the gaps between rich and poor are greatest -- Latin America and Africa. And look back to when the gap was greatest in American history. These were times of slavery and robber barons. I know from my years in parish ministry the financial strains that beset families. I have seen a member lose her home because of predatory lending practices and witnessed the devastation of a sudden illness. The Centers for Disease Control reports that in 2009 59.1 million Americans had no health insurance, and we know that catastrophic health expenses can plunge families into poverty. Why is it that the United States is the only country in the developed world without universal health insurance for its citizens? And why here, in the richest country in the world, did more than 1 million children go hungry in 2008, according to the Dept. of Agriculture? These are more than political issues; these are spiritual issues as well. Inequality breeds fear, bitterness, suspicion, crime and violence. It eats away at the dignity and self esteem of the poor while it hardens the hearts of the rich. Inequality numbs our spirits. Ultimately it dehumanizes us. Ironically, social psychology shows us that our grandmothers were right: The rich are not happier. The answer is not some romantic neo-Marxist notion of a perfect equality. But neither is it the uncontrolled and rapacious avarice that sacrifices people to profit margins and outrageous consumption. The growing gap between rich and poor harms us all. We can choose a better way. Let us share the bounty of the earth. There is enough for everyone at the Thanksgiving table. What has four wheels and carries a turkey? Unless you own a turkey farm, chances are that the bird in your oven took a spin in a shopping cart. Most of us don’t think twice about using a shopping cart (except when it has a squeaky wheel). On the streets, a shopping cart is called a “buggy.” When I was homeless, I avoided “pushing a buggy” as long as I could. When that day finally came – when I had to get something from point A to Point B and had no other option but to use a shopping cart – I could no longer be in denial about my situation. I was homeless. As you can imagine, accepting that reality was devastating. To read entire essay click here. One of our nation’s oldest and most cherished traditions, Thanksgiving Day brings us closer to our loved ones and invites us to reflect on the blessings that enrich our lives. The observance recalls the celebration of an autumn harvest centuries ago, when the Wampanoag tribe joined the Pilgrims at Plymouth Colony to share in the fruits of a bountiful season. The feast honored the Wampanoag for generously extending their knowledge of local game and agriculture to the Pilgrims, and today we renew our gratitude to all American Indians and Alaska Natives. We take this time to remember the ways that the first Americans have enriched our nation’s heritage, from their generosity centuries ago to the everyday contributions they make to all facets of American life. As we come together with friends, family and neighbors to celebrate, let us set aside our daily concerns and give thanks for the providence bestowed upon us. If the only prayer you said in your whole life was “thank you,” that would suffice. I "lifted" the following text directly from the NASA History Office archives. Titled "The Decision to Go to the Moon: President John F. Kennedy's May 25, 1961 Speech before a Joint Session of Congress," it's worth reading today at a time when we face so many challenges. 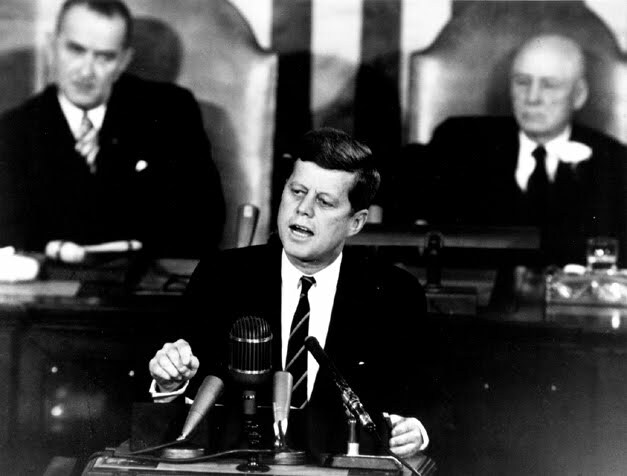 On May 25, 1961, President John F. Kennedy announced before a special joint session of Congress the dramatic and ambitious goal of sending an American safely to the Moon before the end of the decade. A number of political factors affected Kennedy's decision and the timing of it. In general, Kennedy felt great pressure to have the United States "catch up to and overtake" the Soviet Union in the "space race." Four years after the Sputnik shock of 1957, the cosmonaut Yuri Gagarin had become the first human in space on April 12, 1961, greatly embarrassing the U.S. While Alan Shepard became the first American in space on May 5, he only flew on a short suborbital flight instead of orbiting the Earth, as Gagarin had done. 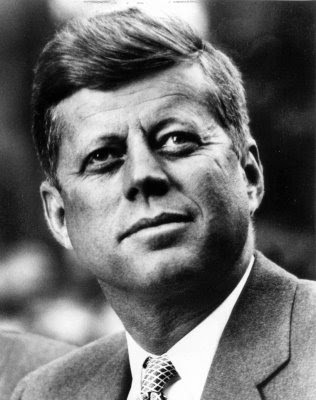 In addition, the Bay of Pigs fiasco in mid-April put unquantifiable pressure on Kennedy. He wanted to announce a program that the U.S. had a strong chance at achieving before the Soviet Union. After consulting with Vice President Johnson, NASA Administrator James Webb, and other officials, he concluded that landing an American on the Moon would be a very challenging technological feat, but an area of space exploration in which the U.S. actually had a potential lead. Thus the cold war is the primary contextual lens through which many historians now view Kennedy's speech. The decision involved much consideration before making it public, as well as enormous human efforts and expenditures to make what became Project Apollo a reality by 1969. Only the construction of the Panama Canal in modern peacetime and the Manhattan Project in war were comparable in scope. NASA's overall human spaceflight efforts were guided by Kennedy's speech; Projects Mercury (at least in its latter stages), Gemini, and Apollo were designed to execute Kennedy's goal. His goal was achieved on July 20, 1969, when Apollo 11 commander Neil Armstrong stepped off the Lunar Module's ladder and onto the Moon's surface. I thought of this historic speech and all of the accomplishments that followed its vision as I watched the bp oil spill continue to assault the Gulf of Mexico. Whenever I hear people say that alternative energy is "impossible" or "impractical" or "not going to happen" for this reason or that, I think of Kennedy, his leadership and his outrageous vision. If, as a people, we were willing to sacrifice during the retooling period, our economy could shift to alternative sources of energy development and we could become more green, more fully employed and more secure as a people. To say that "it can't be done" is to say more about ourselves as a people than about what is technologically possible. A new visionary policy, complete with incentives and tax credits, could spawn an entire new economy that would lead us in a much more sustainable direction. Kennedy saw this when he looked up at the moon. Growing numbers of us can see it as we watch our devastated Gulf marshes, shores, friends and wildlife. Sadly, it was one of those "I'll never forget where I was when I heard" moments. Eighth grade science class with Mr. Troublefield creeped along about as usual. The PA system crackled and the emotional voice of our principal broke the news to us that President John F. Kennedy had been shot and killed in Downtown Dallas. School was dismissed. At home, I found my mother crying in front of our old black and white television. What a loss to the nation. Today in Downtown Dallas several thousand people will be walking across some of that same pavement, this time in a benefit for our homeless neighbors, a fitting tribute on the 45th anniversary of his death. I have today signed an Executive Order providing for the establishment of a Peace Corps on a temporary pilot basis. I am also sending to Congress a message proposing authorization of a permanent Peace Corps. This Corps will be a pool of trained American men and women sent overseas by the U.S. Government or through private institutions and organizations to help foreign countries meet their urgent needs for skilled manpower. It is our hope to have 500 or more people in the field by the end of the year. The initial reactions to the Peace Corps proposal are convincing proof that we have, in this country, an immense reservoir of such men and women--anxious to sacrifice their energies and time and toil to the cause of world peace and human progress. In establishing our Peace Corps we intend to make full use of the resources and talents of private institutions and groups. Universities, voluntary agencies, labor unions and industry will be asked to share in this effort--contributing diverse sources of energy and imagination--making it clear that the responsibility for peace is the responsibility of our entire society. We will only send abroad Americans who are wanted by the host country--who have a real job to do--and who are qualified to do that job. Programs will be developed with care, and after full negotiation, in order to make sure that the Peace Corps is wanted and will contribute to the welfare of other people. Our Peace Corps is not designed as an instrument of diplomacy or propaganda or ideological conflict. It is designed to permit our people to exercise more fully their responsibilities in the great common cause of world development. Life in the Peace Corps will not be easy. There will be no salary and allowances will be at a level sufficient only to maintain health and meet basic needs. Men and women will be expected to work and live alongside the nationals of the country in which they are stationed--doing the same work, eating the same food, talking the same language. But if the life will not be easy, it will be rich and satisfying. For every young American who participates in the Peace Corps--who works in a foreign land--will know that he or she is sharing in the great common task of bringing to man that decent way of life which is the foundation of freedom and a condition of peace. Homeless children and youth. . .our response??? 39% of the national homeless population are children. 57% of homeless kids spend at least one day every month without food. Young people at-risk of homelessness do not fit into existing eligibility defintions and often fall through the cracks receiving no services at all, or receiving only limited services. Want to do something NOW??? Support the Homeless Children and Youth Act of 2011 (HR 32) which would amend the U. S. Housing and Urban Development definition of homelessness to include children, youth and their families who are verified as homeless by school district liaisons, Head Start programs, Runaway and Homeless Youth Act programs and early intervention programs under teh Individuals with Disabilites Act. Support the Educational Success for Children and Youth Without Homes Act (HR 1253/S 571) to strengthen educational protections and services for homeless children and youth. Everyone will be rich here! 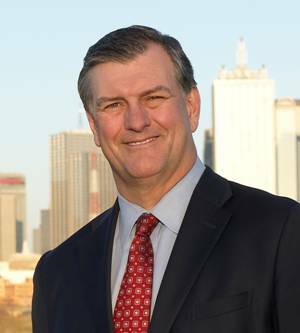 Human service nonprofits are invited to attend the next Chamber of Human Services Nonprofits membership meeting on to learn more about the Chamber, celebrate in pre-holiday festivities and hear from special guest, Mayor Mike Rawlings. Friday, December 9, 5 - 6:30 p.m.
What is the Chamber of Human Services Nonprofits? Launched in September 2011, the Chamber of Human Service Nonprofits (CHSN) provides a forum to focus on issues related to the delivery of human service programs. Open only to chief executive officers of human services nonprofits, the Chamber will create a network to collaborate,advocate and serve as a nexus for a voice with funders about critical issues that impact those in need in North Texas communities. Interested in membership with the Chamber? What follows describes Commit!, a new coalition of Dallas County stakeholders interested in improving public education in our community. Well worth your time to have a look. 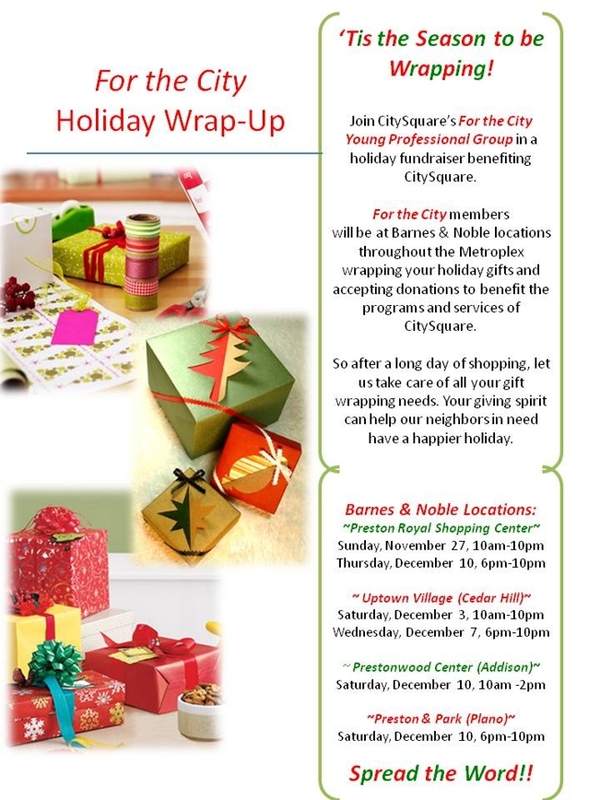 CitySquare is proud to be a supporter and involved. Commit! is a partnership of Dallas area stakeholders highly committed to the transformative power of education who are working together to ensure that all students graduate and succeed in college and/or the global work force. Dallas County currently educates over 550,000 children in Grades K-12 across 16 different public school districts and 80 different public charter schools. There are another 200,000+ children from ages 0-5 who receive a broad variety of early childhood services, ranging from an excellent Pre-K education to none at all. Dallas County also houses numerous two-year and four-year higher education institutions, both public and private, which provide post-secondary education to over 100,000 students annually. These 850,000 students, of which almost 70% are economically disadvantaged, are further supported by 300+ separate non-profits focused on a variety of areas, including but not limited to in-school, after school and summer school programs, mentoring, tutoring, literacy and college access. Each organization has their own strategic plan and often their own unique way of measuring success. Commit!’s purpose is simple but ambitious….to help coordinate and align the various strategic plans found at each of these institutions toward a set of common, measurable goals adopted by the community as vitally important. Graduation from high school with 21st century skills. College and/or work force success. The challenge is urgent. The need is great. Won’t you commit to join us? Visit Commit! website here. Join the movement today! 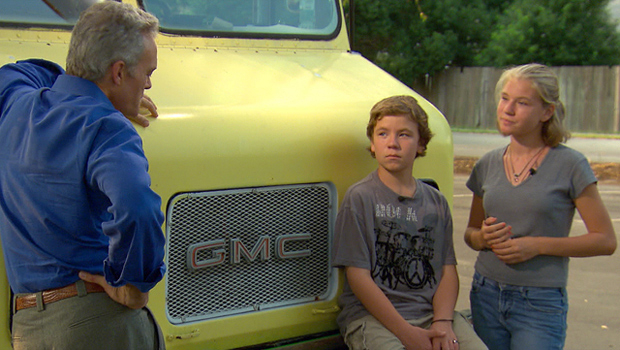 CitySquare works with youth who age out of the foster care system here in North Texas. As a matter of fact, we engage young people from the 19-county, northeast Texas Child Protective Services region. In Dallas County, approximately 150 of these special youth age out each year. Our Transition Resource Action Center (TRAC) provides services to about 900 youth annually. TRAC's headquarters are housed in a full-service, one-stop shop located on Live Oak in a building provided to us by the Meadows Foundation, our great partners in this special work. We also operate an office in Tarrant County in Fort Worth. The population presents us with real challenges. The average young person we serve has experienced 9 foster care placements before turning 18. Think about about that reality for a moment. Evy Kay Washburne, TRAC Director, provided the following results of a resent data evaluation of the young people who walk through our doors seeking help and hope. I wrote the following essay in June 1997. After you read the story, I'll explain what happened next. He sat in a chair near our coffee pot. He dozed while waiting his turn to visit with a counselor. His graying hair captured my attention first. When I caught eye of his feet, I stopped. My introduction roused him from his nap. I sat down on a table by his chair. "What happened to your shoes," I asked. "Someone took them while I was asleep," he answered with a bit of a sheepish grin and a slight downward turn of the head. "Well, let's see," he paused and rubbed his chin in thought and calculation. "Couple of weeks ago," he reported. "You've been walking around barefoot for two weeks?" I asked. "Yes, I expect I have. Look at those feet," he invited, as together we inspected his swollen, weary feet. Living in a shelter, lost in the city, here was a man basically alone. "Why?" doesn't matter much, does it? Yes, he may be battling the consequences of alcoholism. Certainly poverty, hunger and the prospects offered by dead end after dead end contribute to his situation. But, here was a man old enough to be my father who walked the streets of my city without shoes. We provided him shoes. I would like to believe we gave him much more as well. What price do you assign dignity, respect and love? Our work is important. "Larry, I can't do any more at this time--a little to help buy the poor guy some shoes." Enclosed in the handwritten note was $7 in cash. I still have the essay, the note and the cash framed and sitting by my desk in my office. Griffey has been part of our family for over a decade. Jennifer and Brandon, our daughter and son-in-law, brought him home as a puppy just after they were married. 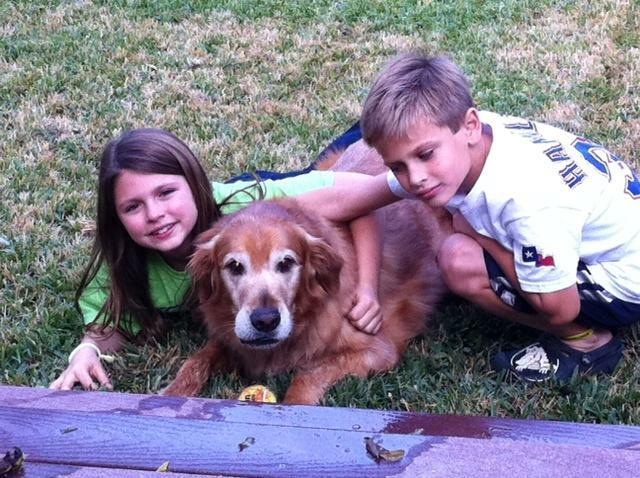 Of course, Gracie and Wyatt have known him since they were born. Griffey watched over them protectively and tolerated their playfulness and wrestling on a daily basis. Everyone in our family loved him. On Friday, the time arrived for Griffey to pass on from here to the next life. He lived the last few years with cancer, but only began to suffer recently. The veterinarian who carried for Griffey, cared even more for the Toombs family as they told their beloved pet a tearful "Good-bye." The passage was sweet, even the sadness worked out right. We all have cried. Griffey was a very good boy. We will never forget him. He did so much for us. Gracie offered about the best summary of this special pet that I could imagine when she said, "Griffey understood everything about us, but we didn't understand everything about him." A tribute to a dog. . . Prepare to shed a tear here! This video sent me off down a long memory lane with my own children and, now, my grandchildren. It also set me to thinking about pets and children from extremely low-income families. There are a number of dogs in our building here in Downtown Dallas, home to over 250 low-income folks. Mayor proclaims Dallas "No Kid Hungry City"
Dallas Mayor Mike Rawlings spoke Wednesday to the North Texas Hunger Summit declaring that Dallas would become a “No Kid Hungry City” and a Food Planning Association would accomplish this goal. The summit was hosted by 30th District Congresswoman Eddie Bernice Johnson who moved to action after viewing a local non-profit video on hunger. The video created by FEED 3, a local educational nonprofit focused on addressing hunger and poverty in North Texas, revealed that over 380,000 North Texas children are challenged with hunger. The summit held at the Dallas Farmers Market, included governmental agencies, non-profits, local community food pantries, and business leaders. Congresswoman Johnson shared passionately her desire to end hunger in the 30th District where some of the most impoverished counties of Texas exist. Determined to follow through on her commitment, Johnson's staff worked over the past nine months with local non profits to assist in launching a Food Planning Association. Local organizations such as CitySquare, a leading nonprofit that addresses hunger with families and children, FEED 3, North Texas Food Bank, DISD, USDA, Greater Dallas Justice Revival, Texas Baptist, and local food pantries are key partners in forming the local food planning association. "Trickle down" turns out to be "rush up"
For years, and especially since 2008, we've heard expression after expression of fear that the nation is in the midst of a great "redistribution of wealth" from the rich to the poor. We've been told that the United States is on the cusp of falling into a thoroughgoing shift to socialism. Nothing could be further from the truth. Well, almost. It is true that there has been a great redistribution of wealth going on. As a matter of fact, it's been underway for the past 30 years. 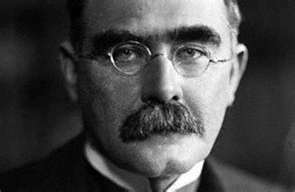 But the direction of the wealth's movement has not been downward toward the undeserving poor as so many seem to fear. No, the movement has been upward to the most well-to-do, and the shift has been massive. And, we see the results every day, as increasing numbers of people come our way seeking assistance. The hard-right conservatives who dominate the Republican Party claim to despise the redistribution of wealth, but secretly they love it — as long as the process involves depriving the poor and middle class to benefit the rich, not the other way around. That is precisely what has been happening, as a jaw-dropping new report by the nonpartisan Congressional Budget Office demonstrates. Three decades of trickle-down economic theory, see-no-evil deregulation and tax-cutting fervor have led to massive redistribution. Another word for what’s been happening might be theft. The gist of the CBO study, titled “Trends in the Distribution of Household Income Between 1979 and 2007,” is that while we’ve become wealthier overall, these new riches have largely bypassed many Americans and instead flowed mostly to the affluent. Perhaps my memory is faulty, but I don’t remember voting to turn the United States into a nation starkly divided between haves and have-nots. Yet that’s where we’ve been led. Overall, in inflation-adjusted dollars, average after-tax household income grew by 62 percent during the period under study, according to the CBO. This sounds great — but only until you look a little closer. For those at the bottom — the one-fifth of households with the lowest incomes — the increase was just 18 percent. For the middle three-fifths, the average increase was 40 percent. Spread over nearly 30 years, these gains are modest, not meteoric. By contrast, look at the top 1 percent of earners. Their after-tax household income increased by an astonishing 275 percent. For those keeping track, this means it nearly quadrupled. Nice work, if you can get it. This is not what Republicans want you to think of when you hear the word redistribution. A pair of new shoes. For what’s left of the life of a poor man. Not too bad a deal, unless you are the man. In a crowded place of charity instead of life. Clearing minds and hearts of a reality just a block away. And the new—clearly as old as Amos himself. Watch Lost in Detention on PBS. See more from FRONTLINE. We're better than this. . .
To say again that the U. S. needs comprehensive immigration reform is beyond question. However, when you understand the "on the ground" realities for families and communities, the game changes. We can do so much better than this. Have we forgotten who we are as a people? Can we so easily turn our backs on our history and heritage? I am ashamed. “Even if the [immigration] law is executed with perfection, there will be parents separated from their children,” White House Director of Intergovernmental Affairs Cecilia Muñoz told us when we interviewed for her our recent film Lost in Detention. And while she stressed that the solution is comprehensive immigration reform, a new report from the Applied Research Center [ARC], which advocates for immigration reform, has found that, in the meantime, an increasing number of children are being placed into foster care when a parent is deported. At least 5,100 children in 22 states are currently in foster care, and if the current pace of deportations continues, ARC expects that number to rise to 15,000 children in the next five years. Nearly 397,000 people were deported in fiscal year 2011 — up from more than 392,000 in 2010. Since Obama took office, his administration has deported more than a million people. The record number of deportations is in part attributed to federal-local partnership programs like Secure Communities and 287(g), which track the immigration status of people booked in jails across the country. According to ARC, foster care children in counties participating in 287(g) are 29 percent more likely to have parent who has been detained or deported. This trend worries some, including Lake County, Ill., Sheriff Mark Curran, who was an initial . . .
Dwight Johnson, aka Demetrius, can lay down a tune through his sax but right from his heart! I caught him practicing in the Glaze Community Room at CityWalk, our mixed-use, Downtown housing development, one evening recently. I love to hear him play! As a matter of fact, he's agreed to play for us this coming Wednesday during our "Lunch and Learn" luncheon during which I'll share an update on our progress and plans at CitySquare. For details call 214.303-2128. 100K Homes Campaign at CitySquare! Communities across the country have joined the 100K Homes Campaign, which aims to find permanent housing for 100,000 of the most medically vulnerable homeless Americans by July of 2013. Together, these communities, including over 3,000 volunteers, are part of a growing movement and have already helped nearly 11,150 homeless people into permanent homes. Will Dallas be a part of this campaign? Join us for the conversation with a guest speaker and question and answer session. Click here to learn more about the campaign. Linda has worked in homeless services in D.C. for over 25 years; most recently leading Pathways to Housing D.C. In addition to her work to end homelessness in D.C., she is also involved in other issues of social justice in the City. She was deeply involved in the District’s Housing First Initiative, overseeing street outreach, administering the Vulnerability Index, and providing one Permanent Supportive Housing team at Pathways for 150 tenants. WHEN: Tuesday, November 8, 2011 from 10- 11:30 a.m.
WHERE: CityWalk@Akard, 511 N. Akard Street; 3rd Floor, Glaze Community Room. Light refreshments will be served. Parking and Check-In Instructions: Parking is available for $5 in the lots behind our building. Check in at the front desk in the lobby and you will be escorted to the 3rd floor. Public transit as civil rights issue. . . I well remember the campaign (read just here "struggle") in 1986 to pass the public initiative that created the Dallas Area Rapid Transit system (DART). The system has come a long way since then, and with great results. 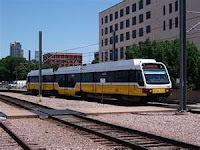 What follows is an article by John Hendel discussing public transit as a civil rights issue. Clearly, the provision of adequate transportation infrastructure affects economic development, wealth creation and living wage jobs. Here's an exercise for you. Drive from Downtown Dallas north up Central Expressway counting each exit between your start and the Richardson city limits. Repeat the process, but this time drive south until you reach the southern boundary of Dallas. Note the development around each exit. Compare and contrast. Why so much opportunity to the north and so little to the south? When the highway was built in the early 1950s the economic disparity between north and south was nothing like today. Obviously, the planning wrapped up on the transportation development drove the economic advantages north. What we build and how we plan it matters. After you read Hendel's report, let me know what you think. To what extent is public transit a dimension of the civil rights debate? Many people, after all, rely on public transportation to get to work, both here and all over the United States. They take buses, Metro trains, light rail, the MARC, and other options. Increasingly people dismiss the automobile and use Zipcar, Capital Bikeshare, and might be able to take advantage of other transit options like streetcars, if those ever do appear (the District hopes to debut the first functioning lines in mid-2013, last we've heard). In the D.C. metro area, nearly 200,000 households manage to get by without a car. Is a functioning, reliable public transit system not only wise for the reasons of reducing congestion and helping the environment but also simply a reflection of what people deserve? At The Root, founder and CEO of PolicyLink Angela Glover Blackwell suggests that yes, a functioning, funded public transit system is a vital part of the civil rights debate and points to several cities around the country, from Detroit to Little Rock, that struggle with and seek to revitalize their transit options. She also identifies the way our Congress fumbles its way forward with the proper funding. What we need, according to Blackwell, is wisdom in our transit choices and funding. Equity advocates must demand wiser investment of transportation dollars. Policymakers must reduce the burden on millions of struggling families who rely on public transit that is available and affordable. Without urgent attention, this lack of transportation will continue to be a proxy for leaving whole communities out of the American mainstream. Despite all of the political posturing hailing the environmental, economic and other merits of a cutting-edge network of public transit systems, the nation has fallen woefully short of advancing a sustainable, 21st-century transportation system for the future. "No Kid Hungry Dallas Summit"
A window into CitySquare. . . Here's the latest video produced at CitySquare. It first aired to the audience who attended our just completed "A Night to Remember 2011 with Jay Leno." It provides another glimpse into our world.